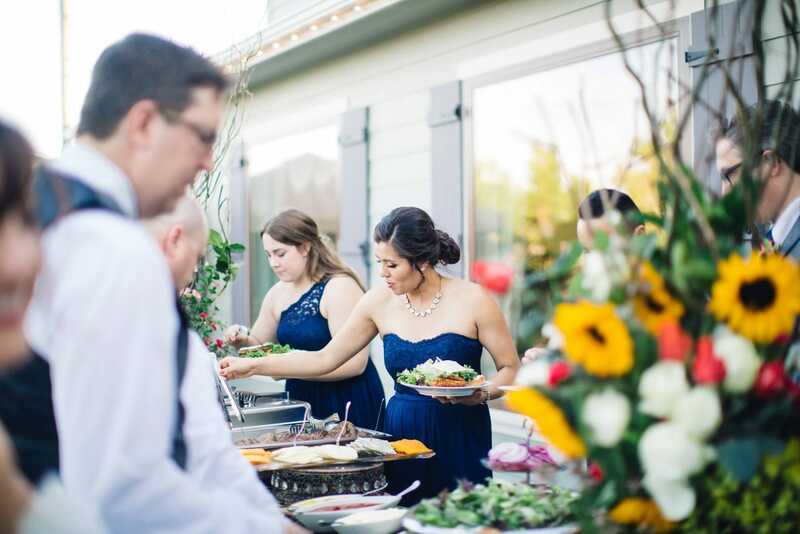 Catering at Hidden Hollow featuring Classic Catering at 625 includes: Cloth linens, cloth napkins, china, flatware, and glassware. One item buffet with chicken entrée accompanied by choice of vegetable and starch. Garden green salad & assortment of gourmet dinner rolls with butter. Ice tea, water, salt, pepper, and sugar on each table. Hand poured toast service. Cake cutting service. Set-up, clean-up, and service staff. Couldn’t ask for a better venue! We just had our wedding at Hidden Hollow and couldn't ask for a better venue! Not only was it beautiful, Heather, Laura and Dave were AWESOME and made everything go off without a hitch! So thankful that we found this gem and loved all of the hard work and details that they included. We couldn't have asked for anything better!